Fort Pierce is found in St. Lucie County of Florida. It's called the Sunrise City and has a population of nearly 44,000 residents. The city provides a coastal choice for both residents to enjoy and visitors to enjoy. St. Lucie County has a population of more than 280,000 residents and its part of the Port St. Lucie Metro area, which is very close to the Miami Metro area. This area sees an overflow of visitors every year due to the popularity of Miami and the beaches found within the area. Interstate 95 runs through the Fort Pierce area, along with Florida's Turnpike and Highway 1. I-95 is known as the deadliest highway in the United States for the portion found in Florida. About 186,000 vehicles travel on I-95 every day. The mixture of visitors, full time residents and part time residents brings many different driving styles to the area. Both Fort Pierce and St. Lucie County have experienced a rise in traffic accidents. After reading these statistics, you may realize things would be much worse if the law enforcement agencies didn't enforce traffic laws and hand out tickets. Over 25,000 traffic tickets were handed out by law enforcement agencies in St. Lucie County for 2015. Out of those tickets, 18,677 were for speeding, which was the most for one type of infraction. Only 8% of the tickets issued were actually dismissed by a judge. The chances of having your ticket dismissed are very slim. Having your Florida driver's license suspended isn't fun. It means you will have to get rides from other people and taxi services. Your license may be suspended if you get too many traffic tickets in a short amount of time. Receive 12 points on your license in 12 months and you will face a 30-day suspension. If you get 18 points in 18 months, your license will be suspended for 90 days. Those getting 24 points in 36 months will face a one-year suspension of their license. It only takes a few tickets in one year to see your driving privileges suspended. If your license is suspended, you will have to pay reinstatement fees and higher insurance rates. Those taking the chance of driving on a suspended license and getting caught will face up to $500 in fines and 90 days in jail. It's that simple and you will avoid points on your license and higher insurance rates. The course can be taken right online, at your own pace and from the comfort of your home. Of course, you will have a specific amount of time to complete the course for the clerk of the court. 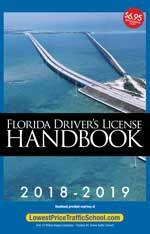 Eligibility for traffic school in Fort Pierce can be checked with the clerk of the court. However, if you have never taken the course, you will be eligible. Those having taken the basic driver improvement course before are eligible if they haven't taken it in the past 12 months or 5 times in their lifetime. All traffic tickets, no matter which law enforcement agency, are handled by the St. Lucie County Clerk of the Court. 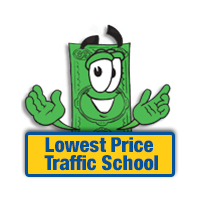 You will pay your ticket with the clerk and inform the clerk of your enrollment in traffic school. They will also take your certificate of completion. For more information about the St. Lucie County Clerk of the Court visit their website.